The survey: “Discovery, Research, and Profit” has ended and I have presented at the World Orphan Drug Congress in Maryland. I presented the story of how the survey came to be, and our motivation for wanting to move forward with building an app as we have identified an unmet need. You can download my presentation by clicking here. Wow! We had 1212 people take the survey. 88% was from the US, and the rest was global. 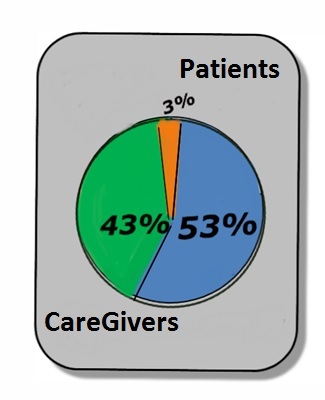 It was pretty evenly split between CFers and Caregivers. I needed to make a great presentation. I was presenting raw data, YOUR data to the congress. The survey began in an Ah HAH moment for me, and it was literal. In 2015, I attended an eyeforpharma Conference in Philadelphia. This is a conference run for pharmaceutical marketers. 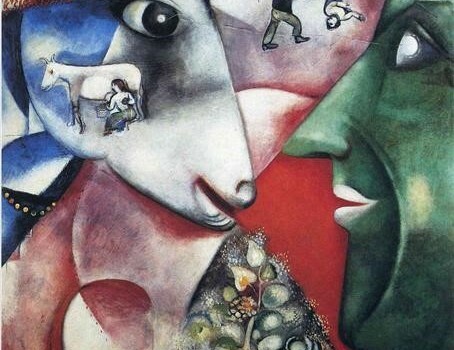 I had often blogged for the eyeforpharma about patients, and now I am even a founding member of the Aurora Project created to bring pharma “patient centricity”. Having lunch at the conference, I sat next to a woman with a broken wrist. My natural tendency is to help, so I offered to bring her coffee and return her tray. That began our conversation. 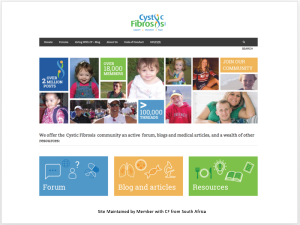 I told her, I am the founder of a community with cystic fibrosis at cysticfibrosis.com. We have over 18000 members and millions of saved searchable messages from conversations that date back to 2003. Natalie Douglas (her name) was at the time the founder of HAH (Healthcare at Home) a homecare company begun in the UK and now spreading over Europe. Natalie is also a Board Member of Global Genes a non profit founded for Rare Genes. On the spot, Natalie told me she would sponsor my trip to the Global Genes Conference in California in September of 2015. I was touched but didn’t think much of it till, she really did send an all expenses paid trip including tickets to the conference! It was a generous beginning! I was all in. Why? Because I have wondered all along about the data from this special community. Who owns it, what would happen if we all owned our own data in this era of technology. I returned from the conference with a new mission: a survey to find out What YOU, the community think of these ideas: Do you own your data? And should/would you accept payment for it? Potentially, this could be a new marketplace and and valuable jobs for our community. Creating the survey seemed to be the next step. Working with Corey Nislow PhD of the University of British Columbia and our own member editor Melissa75, was in a way, a birthing experience. The questions grew out of the mission: to have people who own their data create genomic diaries and be able to share the information however they wish. To compare and contrast with the community, using technology to create the tools that enable the sharing of many types of data. We finished the survey in October and sent it out. 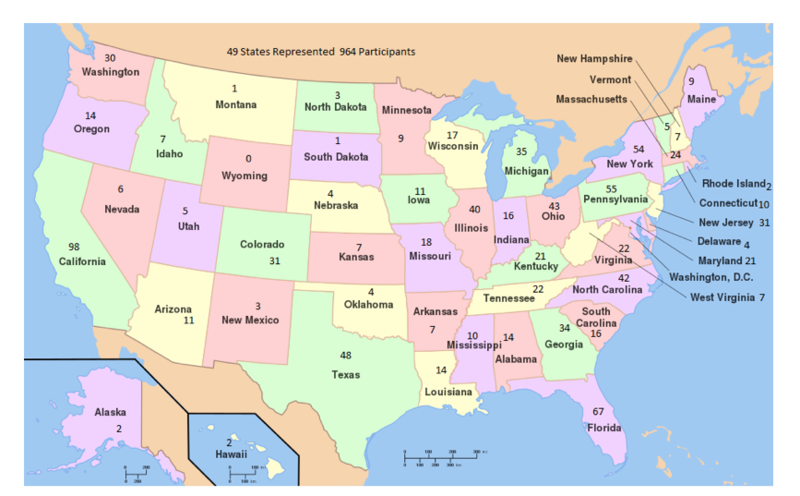 The results came back quickly and we already had 500 participants by December. It was a close number of patients and caregivers. Firstly, our research proved that CF is no longer a “childhood disease”. Most of the CF Patients are in the 19-44 age range. This means that this community has grown up with the technology boom happening all around them. Having always been involved with technology, my dad was the senior method analyst at Prudential Insurance Company, beginning with computers in 1938! I grew up with tech in my DNA, becoming a computer science teacher in the 1980’s when they pushed computers into the math teacher’s classrooms. Matching this community to technology is a “no brainer”. I believe that as Kevin Kelly (the first editor of wired magazine) wrote a book called“What Technology Wants”and I think it may very well be a community that grew up in the time of technology and is ready with fecund and robust medical histories both qualitative and quantitative to begin the exciting process of creatively and clearly matching the technology to the data in ways that continually evolve. 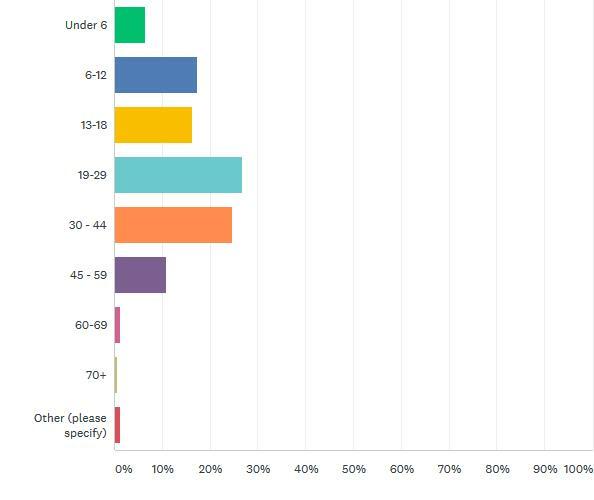 One of the first questions asked on our survey was “How do you keep records?” This was the most surprising and hence uncovered the “Unmet Need”. Our community, mostly within the age of generation x and the millennials, doesn’t use technology for this important task. 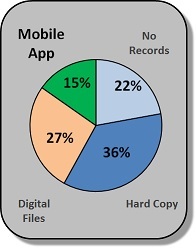 We found only 15% of the patients use mobile apps to record their data and it was less for the care givers: 9%. CF is a complicated and time consuming disease. Keeping records can be a time consuming job, so the unmet need is for us as a community to find the right technology to store our data. What apps are the community already using? What information (modules) should be collected? Can we find an app that already exists? Or should we, as a community, create one? Written by: Imogene on May 12, 2018.